Home Communication Process What is communication its meaning,concept & Process. What is communication its meaning,concept & Process. Communication is a dynamic process that takes place around us all the time. In fact we spend 70% of our time receiving and sending messages. The origin of the word "communication" is "communicare" or "communis" which means "to impart "," to participate "," to share "or" to make common "
The very origin and meaning of "communication." 1. Keith Davis: Communication is a process of passing information and understanding from one person to another. 2. John Adair: Communication is essentially the ability of one person to make contact with another and make yourself. 3. William Newman and Charles Summer: Communication is an exchange of ideas, facts, opinions or feelings of two or more people. 4. Louis Allen: Communication is a bridge of meaning. It involves a systematic and Continuous process of telling, listening and understanding. 5. Peter Little: Communication is a process by which information is transmitted between individuals and / or organizations. 6. Murphy, Hildebrandt, Thomas: Communication is a process of transmitting and receiving verbal and non-verbal messages. It is considered effective response or reaction from the receiver. 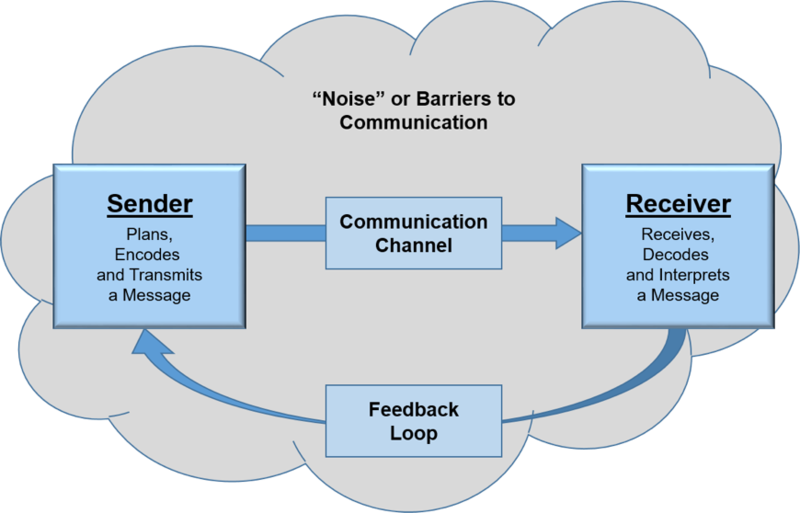 Communication is a two-way process involving the following elements: a sender, a message, a medium, a channel, a receiver, a response and feedback. However, it is not sufficient to have just all these elements; there should be cooperation and understanding between the two parties involved. It is important to have a common frame of reference or context for successful and meaningful communication, e.g. a common language or common interpretation of a gesture. Essentially communication involves the sender or the communicator and the receiver. Both should necessarily share a mutually accepted code e.g. a common language. The context in which the communication takes place is called the “communication environment”. The content of the code is sent in a certain medium (oral, written or non-verbal) using channels (air, mikes, body, pictures, text, etc.) in the form of encoded messages. The “code” is not restricted to only language; it may also involve the use of costumes, gestures, colors among other things. The sender sends a “message” using a “medium” and a “channel” to the “receiver”. The message arrives in the sensory world of the receiver. The receiver’s brain filters the message on the basis of his/her knowledge, emotions, attitudes, and biases and gives the message a unique meaning. This meaning may trigger a response which the mind of the receiver forms. 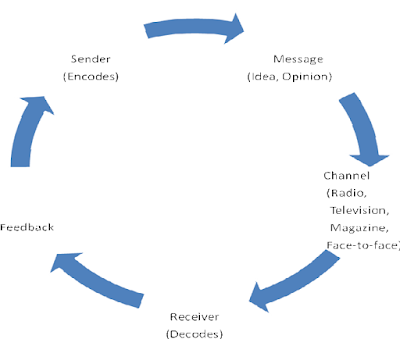 The receiver encodes his/her response and sends it across as “feedback” into the sensory world of the sender. This completes one cycle of communication and the process continues in a cyclic manner, i.e. cycle after cycle, as long as the people involved care to communicate. Idea or impulse that arises in the sender’s mind. 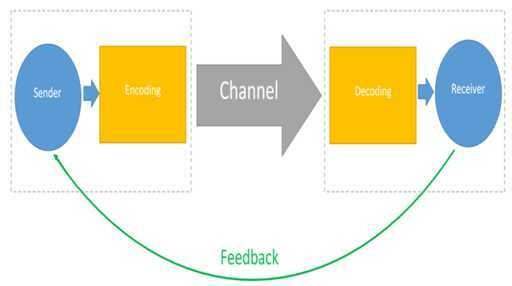 Formal expression of the idea or impulse using a medium and channel : encoding . Interpretation of the message by the receiver: decoding. Reaction or response of the receiver. Conveying the reaction/response in the feedback using a medium and channel . Decoding of the feedback received . Cooperation between the sender and the receiver. Selection of an appropriate channel. Correct encoding and decoding of the message. Receipt of the desired response and feedback . In some cases, the message may fail to produce the desired response because of a semantic gap or a barrier between the sender and the receiver. This is termed as “noise”; it refers to any unplanned interference in the communication which causes a hindrance in the transmission of the message. Channel noise: This refers to static, mechanical failures, problems in volume, pitch, legibility of text, etc. Semantic: Here “noise” is generated internally resulting from errors in the message itself: ambiguity, grammatical errors, wrong spellings, incorrect punctuation, etc. 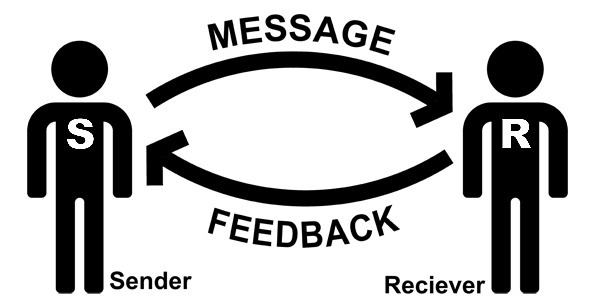 The transmission of the receiver’s response to the sender is called “feedback.” It is one of the most vital factors of the communication process. It is essential because it is a barometer of effective communication. 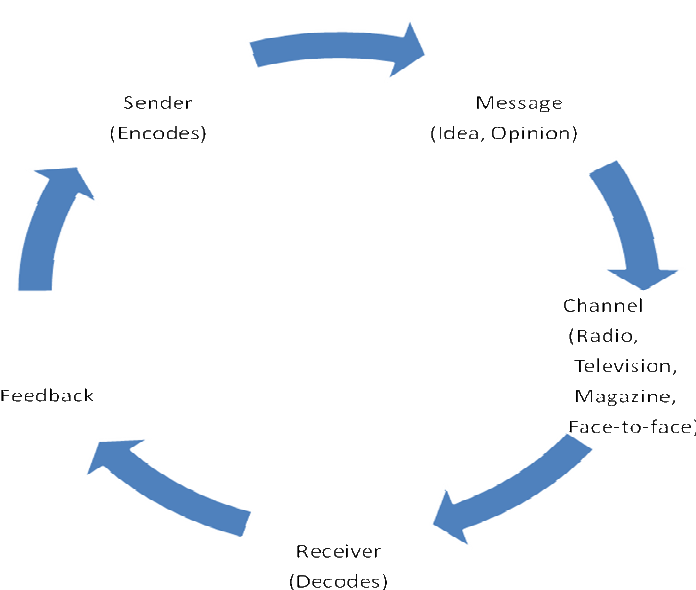 The sender needs to know whether the receiver of the message has received it in the intended way and whether he responds in the desired manner. Of course, even if one receives a response, it may or may not be the one you had expected. But once you receive some response, you know that the message has been communicated, e.g. a notice for a meeting. There could be both positive and negative responses to this message; some may turn up for the meeting and some may not. Communication is said to be fully effective only when you get the desired response. 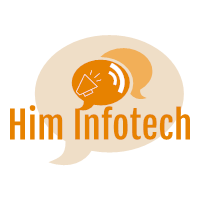 Feedback helps in improving communication as it enables the sender to pinpoint defects in the transmission of the message. A skilful communicator is always looking for warning signs that the communication is not going well and adjusts messages accordingly. Being alert to feedback helps the sender know whether he/she is on the right track. In the long run, it helps in understanding one’s strengths and weaknesses in the communication context. In the business world, managers should ensure that adequate facilities and opportunities exist for obtaining feedback. This is done through establishment of internal systems and forums which enable employees to express their views and influence decisions. Market research is another way of obtaining feedback and information from employees and external target groups. Types: Feedback may be positive or negative. Positive feedback occurs when the receiver receives the desired response based on a clear understanding of the symbols used in the message. Negative feedback occurs when there is an undesired response because of miscommunication. In some cases, not getting feedback is also a sort of feedback. For instance, complete silence on the part of the receiver is also an indicator of either effective communication (agreement) or a failure on the part of the communicator (inability to understand, dissent). Observation of changes in the recipient’s behavior in face-to-face communication is a source of valuable feedback in cases where the receiver does not explicitly express his reaction. For instance, if a counselor gives a pep-talk to a depressed student and notices that he is more cheerful, relaxed and willing to talk on his next visit, he interprets this change as a positive response. Feedback may be either immediate or delayed. For example, oral responses are immediately conveyed but in case of written communication, the feedback may take some time.